Our Club Station is located at the Greenwood Community Centre. HF: Kenwood TS590SG, Jetstream JTPS-75 Power Supply, MC 60 Desk Mike, MFJ Versa Tuner IV, Kenwood TL 922 Amplifier and a Hygain TailTwister Rotor. The antennas are Cushcraft A3S Triband Yagi and a Windom Multiband Dipole. 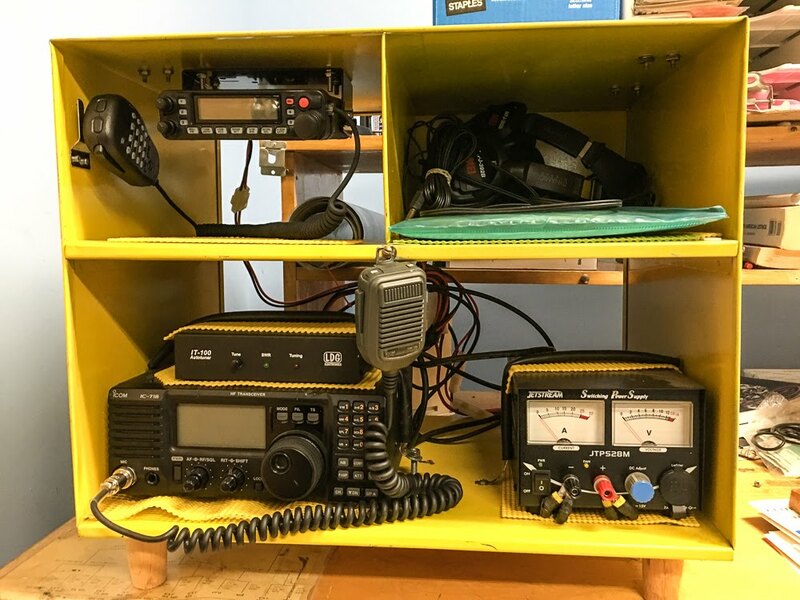 VHF/UHF: Alinco DR-635 Dual Bander, Astron RS-35A Power Supply and uses a vertical antenna. 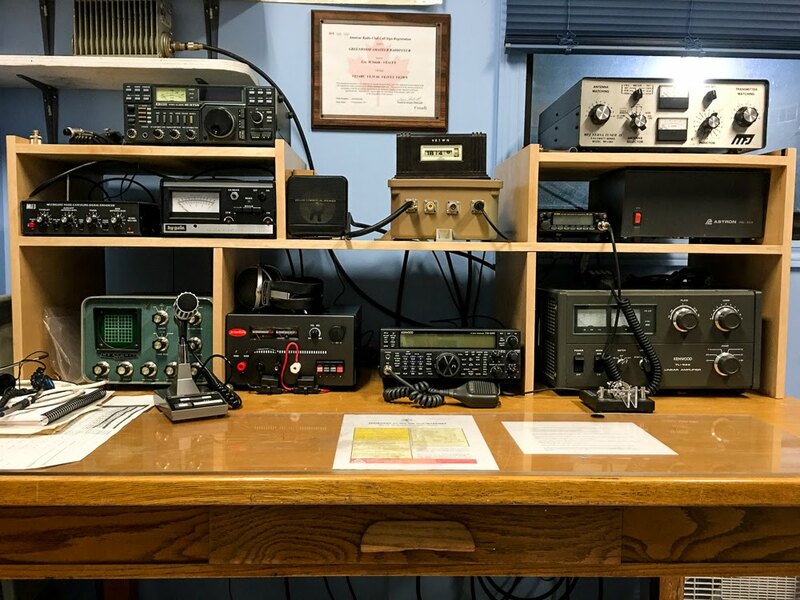 Icom IC-718 radio with an LDG IT-100 tuner for HF, Yeasu FT7900 radio for VHF/UHF and a JTPS28M Jetstream Power Supply to power them. Buxxcom Windom Multiband HF Dipole and a Jetstream JTB3 Dual Band Vertical antenna. 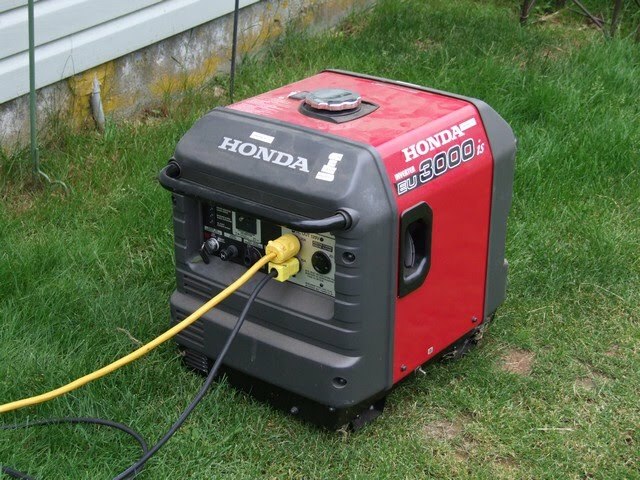 For emergency power we have a 3000 Watt Honda Generator.